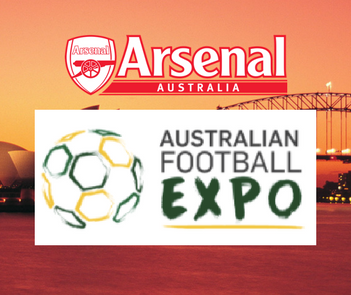 Further news from NSW, we have received an invitation to attend a Football Expo in Sydney in mid Oct. The Expo will run over a weekend with advertising currently being developed to attract thousands of fans and will feature displays from all those associated with Football, equipment suppliers, coaches, health & fitness services providers. There will also be special guests and Football clinics and presentations. David and Tony recently met with the Event Director, to discuss the event. We are one of only four official Supporters Clubs to be invited and have been offered a stand at the Expo for free to promote our Club and the NSW Branch over the weekend to all the Expo visitors. David will arrange for his team in Sydney to manage the Stand and we are currently developing marketing material for the event. Arsenal kindly left an Arsenal in Sydney banner for us which has been given to David for promotional activities such as this.